It took me quite some time to write a post about the teasers. Man! I gotta say, I need to calm down to organize my thoughts. Haha~ These past few days have been a real excitement to me. Clouds just can't keep calm when Rain creates the anticipation! 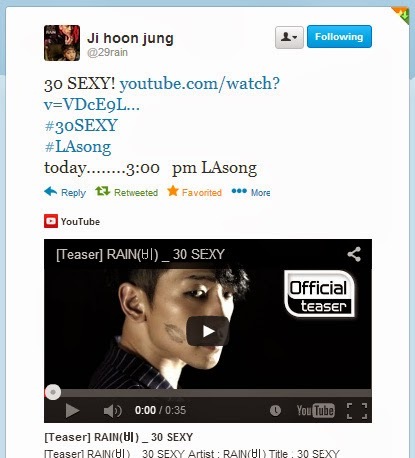 It all started when Rain tweeted at the early morn of Dec. 30. Clouds have requested for him to tweet again after July 10 and it finally came true. All right! 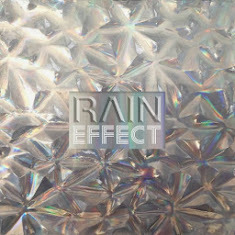 day one (Dec. 30) was about the photo teasers and day two (Dec. 31) was for the video teasers of the double title track for the album Rain Effect. For both days Clouds participated in a trending event in Twitter. 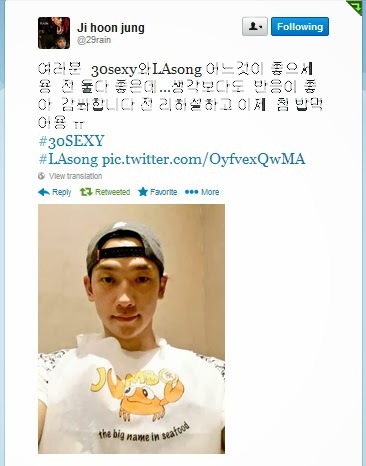 Tweeting to @29rain with the hashtags #30SEXY #LAsong to support Rain's comeback. What with the slow and timely revelation of the said photos and videos, you wouldn't want to leave Twitter or even close your YouTube account. Check out the report of our Cloud sisters at Rain's Little Cloud for the successful result here. The photo teasers are itself oozing with sexiness. The mafia-like concept really works for the song. The first few notes of the music was all about mystery, crime, and sexuality. When I first heard it, I could feel the electricity of the music moving in my body! It's RnB with electric guitar. 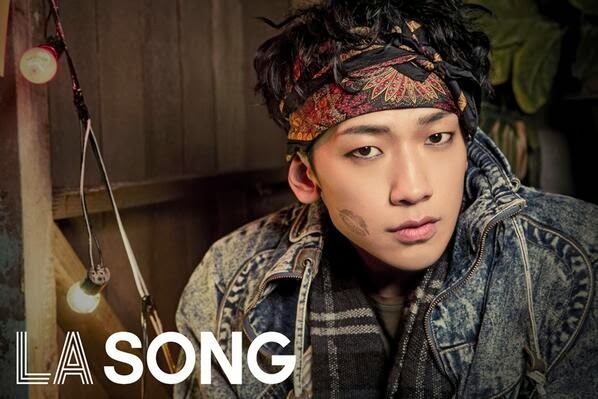 Rain projects his voice well and he exudes confidence in every angle. LA Song's description of a mix of various music genres in harmony is enough to make any music lover curious as to how it would sound. Those teaser photos tell a story of a rock star with a motorcycle punk theme... and some sexiness in between. Because of that, it made me all the more curious of LA Song's music. Rock? Street? Funk? Electronic? 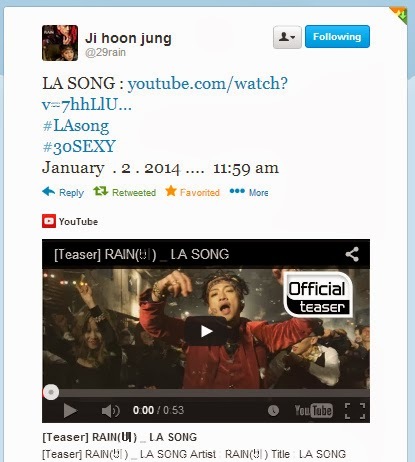 When the video was released by our man himself, I ecstatically clicked and watched the 53 second teaser of LA Song. I can't put a single genre to the song. The rhythm is RnB, Latino, Country and a whole lot more. It is a totally new genre! The choreography reflects of cowboy, matador, and Spanish dances moves. Wow! Bring the house down y'all! (^_^) Rain es un hombre hermoso. Quoting Rain in his latest tweet: Which one do you like better? 30SEXY or LA Song? "Which do you like better, 30sexy or LAsong? I like them both.What I appreciate most is your reaction that is better than expected.I'm now eating some food for the first time after a rehearsalㅠ." Both songs are beautiful, unique, and of different genres. They are incomparable. What is more amazing is that Rain was able to create one of a kind concepts for each one. While LA Song catches the attention of the youth, 30SEXY is for the mature audiences. 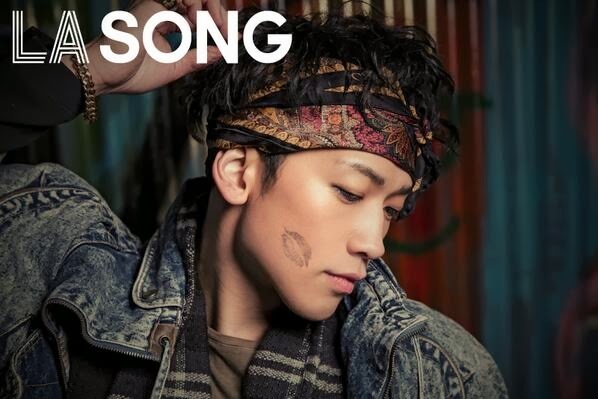 Hehehe~ Rain was also able to come up with special personas thereby highlighting his acting prowess. What a total entertainer our idol is! It is in the news that the comeback date has been moved to January 2, 2014. Yay! It's less torture on the waiting time for us as we can't wait to fully hear the 30SEXY and LA Song. This is Rain Effect! And Rain is about to change the course of music history. Rain-ing for the Third Time in Hollywood!